Leaders from the Tamil National Alliance (TNA) met with the Janatha Vimukthi Peramuna (JVP) in Colombo earlier today, as negotiations continue amidst a political crisis in Colombo. 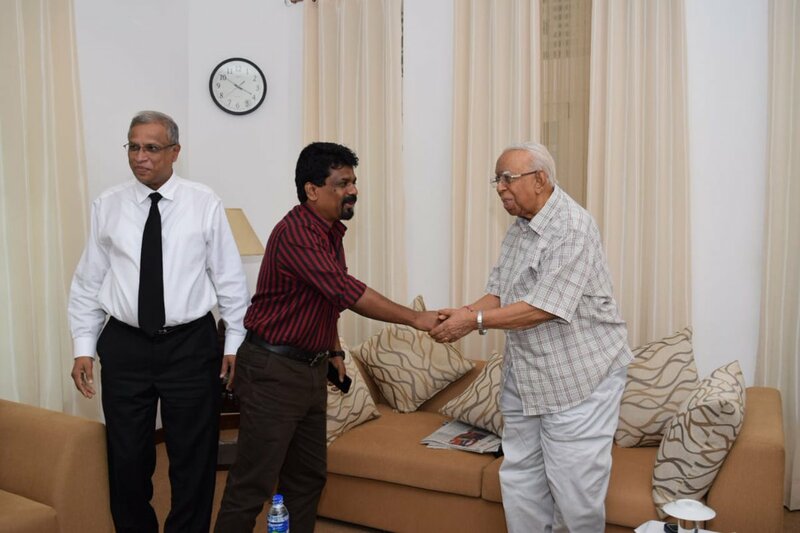 TNA leader R Sampanthan, who leads the official Opposition in parliament, met with JVP leader Anura Kumara, at his office in Colombo earlier on Monday. The meeting comes as lawmakers split themselves between Ranil Wickremesignhe and Mahinda Rajapaksa, both of whom are tussling for a majority in parliament. Whilst the TNA has declared its support for a no-confidence motion against Rajapaksa, the JVP has thus far said it will abstain from picking either side.